Here are two great articles that explain how a study of unvaccinated children versus vaccinated kids has been censored from the public. 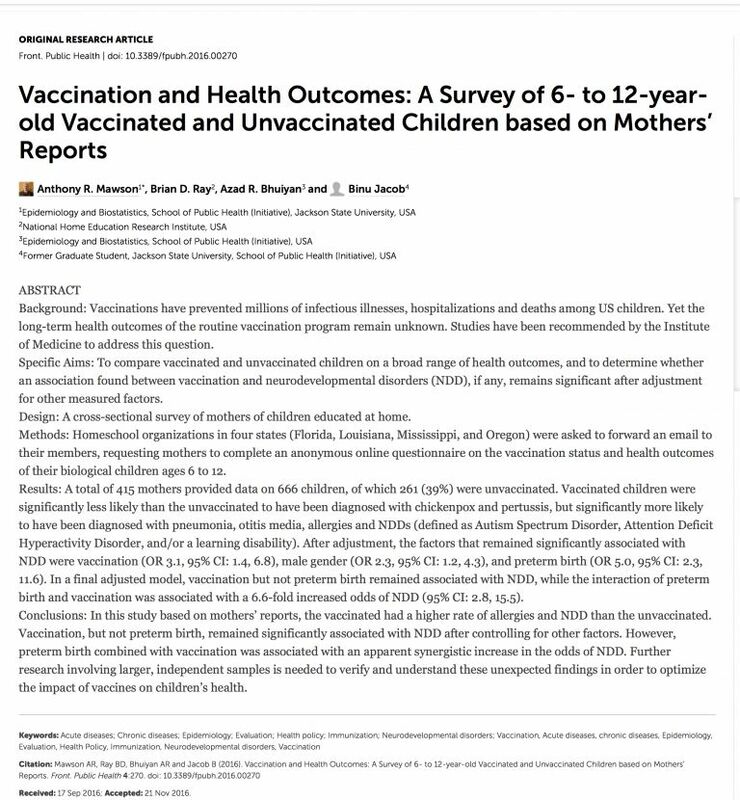 I am all for such a study but I have concerns because no study will ever explain to the pro vaccine crowd the benefits of natural immunity, nor will a study explain why unvaccinated children simply look healthier than those who have been injected with vaccines. Vaccines deny the body natural immunity and they cause a multitude of illnesses! VACCINES ARE POISON!!! Most people reading this know this but I fear no amount of evidence at this time will convince the masses that vaccines do way more harm than good. It is obvious to me that we have a lot of work to do if we are going to change the public opinion of vaccines. People have to see these studies and they have to know the serious nature of vaccine injury. Vaccines cause harm 100% of the time and there is no real way to know just how a vaccine will impact a person. Now more than ever we need to educate others about vaccine injury and the benefits of natural immunity. When you poison any living creature it gets sick and it dies!!! Vaccine injury can be a slow painful death from autoimmune disorders, it can be mistaken for part of the normal aging process, or it can be sudden!!! WHEN WILL THE PRO VACCINE INSANITY END??? 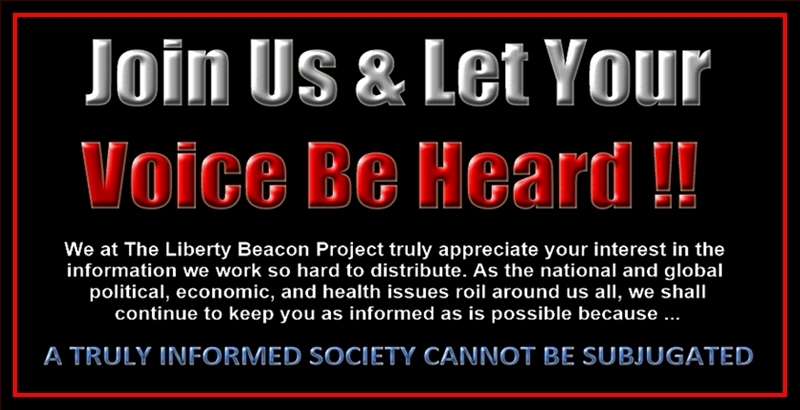 It will come to an end when all anti vaxers / non vaxers are speaking up and out in the streets putting an end to it. It will end when anti vaxers / non vaxers embrace natural immunity for their families and are not afraid to talk about it when educating others about vaccines. It will end when all people harmed by vaccines speak up!!! The results of the first ever study comparing the health of vaccinated children vs. unvaccinated children is out, and they are already causing controversy. For many – hundreds of thousands of families that have already been injured by vaccines – the results won’t be surprising, but to many others, the findings might be a little shocking. This is possibly why the scientific journal which originally published the results withdrew the study from publication. The abstract of the study was published online in Frontiers in Public Health after being accepted November 2. The study compared children’s health via surveys of mothers who home-schooled their children aged 6-12 years. Nearly 40 percent of the children had never been vaccinated, so the control group was adequate to do a good comparison against children who had been vaccinated. After heavy criticism from the public and scientific community due to the results of the study, though, it was retracted. Why? Those that were vaccinated were three times more likely to be diagnosed with neurodevelopmental disorders such as autism. When the paper was pulled, the publishers were also accused of not following a proper retraction process. Though the journal isn’t the first to pull a vaccine paper amid public criticism — in February, Vaccine temporarily removed — then soon retracted — a paper linking the vaccine for Human papillomavirus to behavioral problems in mice; a modified version of the paper was later republished, the retraction is suspect considering how quickly the paper was pulled. When the publishers were asked why this happened, they simply responded that the paper was submitted for review, but had not been approved. So, why are vaccine promoters so quick to dismiss, or make a drivel of a study based on mothers’ health reports of their children? Bias or no bias – it’s hard to dismiss a 300 percent increase in autism and neurological damage rates – but those reasons are left to your imagination. AS ACTIVIST WE CAN DO BETTER!!!! THE VICTIMS OF VACCINE INJURY DESERVE BETTER!! !